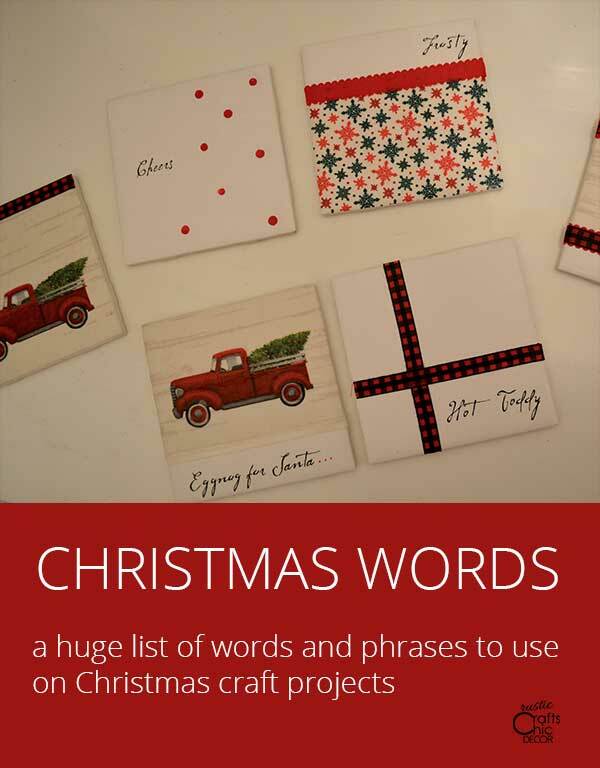 There are so many words to describe Christmas and so many ways to use these words in craft projects. However, sometimes when trying to come up with Christmas words or phrases to use, the old mind kind of goes blank. 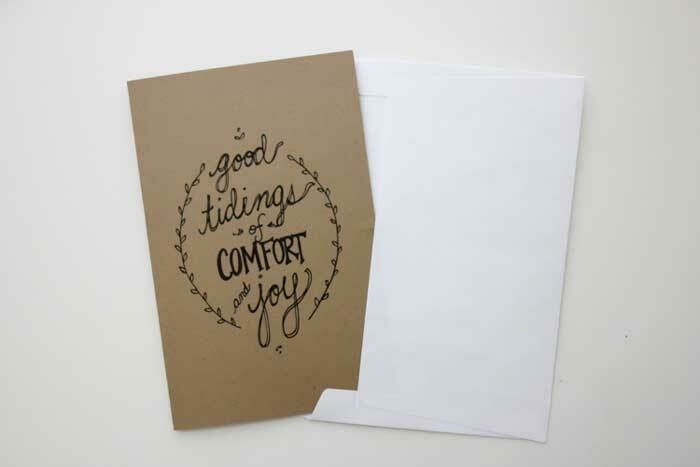 That is why I have come up with a list of popular Christmas words to put on yours signs, ornaments, or gift projects. Hopefully this guide will get your mind thinking creatively! I’ve broken down lists of words or phrases that would be particularly helpful for a certain craft project. However, you may find the perfect word or phrase, for your project, in a different category than what I put the words in. The nice thing is that with all Christmas words and phrases listed, you should be able to find just what you want to use. 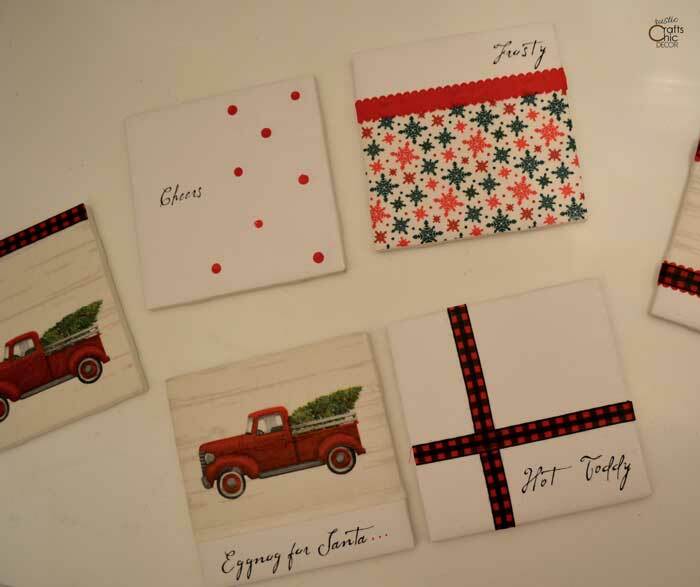 The other day, I was trying to think of some festive words to put on some gift coasters that I was making. I simply wanted to add a word or phrase to coasters that I was decorating for Christmas. Then, I figured that if you are using a coaster, you are having some sort of drink. So, for my coaster project, I wanted to use winter or Christmas words that related to drinking. To get these Christmas words onto coasters, I used rub off letters. It’s a super easy way to add words. Other ideas for transferring words onto coasters are with paint, stencils, stickers or sharpies. Then, just seal the letters with varnish, spray sealer, or Mod Podge. 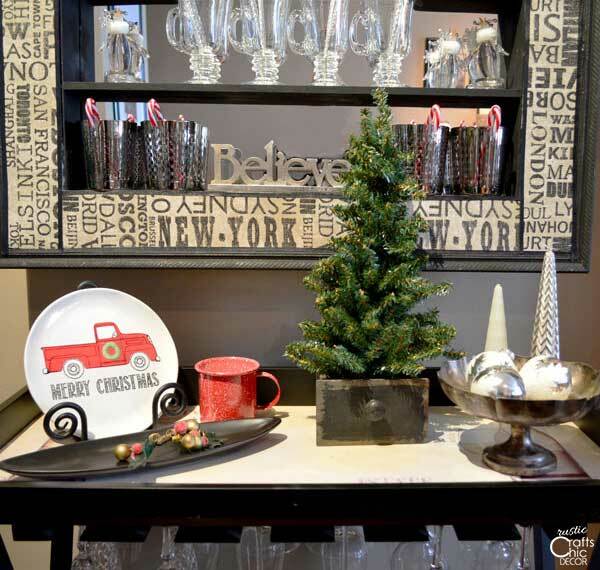 Ornaments are another popular item to put Christmas words on. 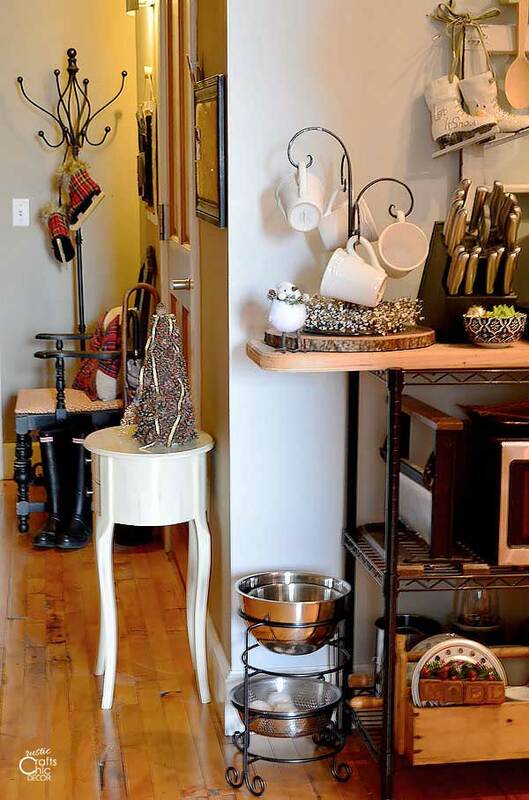 Here are some popular short words that work good on ornaments. 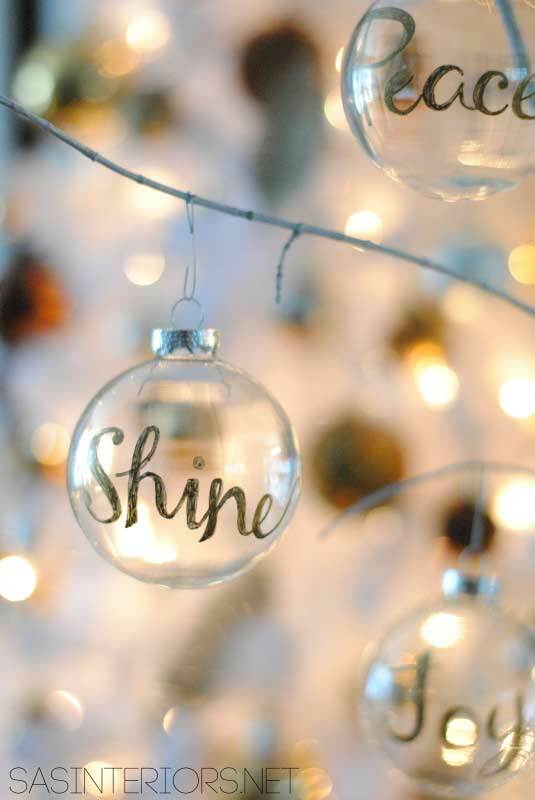 These words were handwritten onto the ornaments using sharpies. Since sharpies dry right away, they are perfect for writing on ornaments. One thing that I always see plenty of, during the holiday season, are cute signs. If you are making your own sign, some of these sayings would be fun to use. 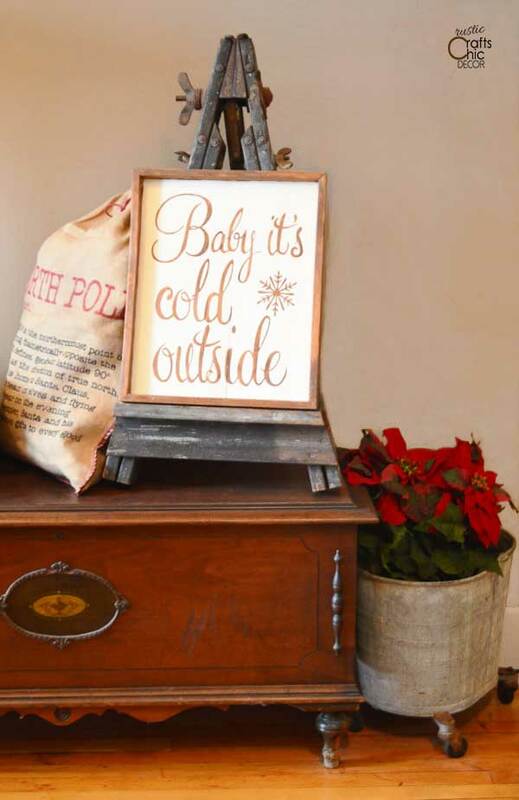 Every year when it is cold enough to put on a jacket, I like to get out my Baby It’s Cold Outside sign. When what to my wondering eyes should appear…but ten extra pounds on hips, thighs, and rear. I hope you can use some of these Christmas words for your next holiday project. It’s easy to spell out Christmas words with wooden blocks, like the Noel decoration above.